The government intends to impose a new, fixed cap on all cases up to £25,000, pointing to numerous examples of lawyers who continue to profit from the NHS by charging more than 80 times the amount awarded to the victims in minor claims. In one case, lawyers claimed £83,000 in legal costs for a case in which the patient was awarded £1,000. These costs contributed to a total bill for the NHS of £1.5 billion in 2015/16. Currently there is no limit on legal costs that can be recouped and the money claimed by lawyers takes vital funds away from NHS trusts. It is expected the new cap will help the NHS save up to £45 million a year. 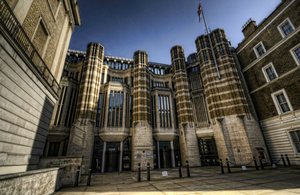 The cap will form part of wider reforms to the way the NHS approaches litigation claims. Last year, the Health Secretary also announced a plan to consult on measures to provide an alternative compensation scheme for victims of severe birth injury, which would ensure rapid support for families without the need for a protracted legal case. It’s important that when significant mistakes happen in the NHS, patients are able to have an open dialogue with a Trust about what went wrong, receive reassurance of what is being learnt, and can discuss what form of recompense or redress may be appropriate. Legal action should only be one part of this process. Unfortunately, what we often see in lower cost claims is a deeply unfair system where unscrupulous law firms cream off excessive legal costs that dwarf the actual damages recovered. We believe this creates an adversarial culture of litigation, which is inflating insurance premiums and drawing away resource from the NHS at a crucial time. The cost of clinical negligence risks is becoming unsustainable for the NHS and society. In lower value claims it is also not unusual to see lawyers’ costs exceed the damages awarded to claimants – this is simply not right. We are pleased Government is tackling this important issue; a package of legal reforms is desperately needed. Introducing fixed recoverable costs for small value claims could play a part - helping to ensure that legal costs do not dwarf compensation payments, and that money can be spent on patient care instead. The introduction of a fixed recoverable cost for lower value claims would support more proportionate payment to claimant lawyers – which alongside improvements to the system should make things quicker and better for patients. This seems fair and appropriate recognising this all comes out of the NHS pot. Less money spent on legal costs will mean more to put into improved patient care at a local level.